Pre-E3 nintendo Direct showed off the first footage from the new Super Smash Bros. game which will be available on both the 3DS and Wii U systems. 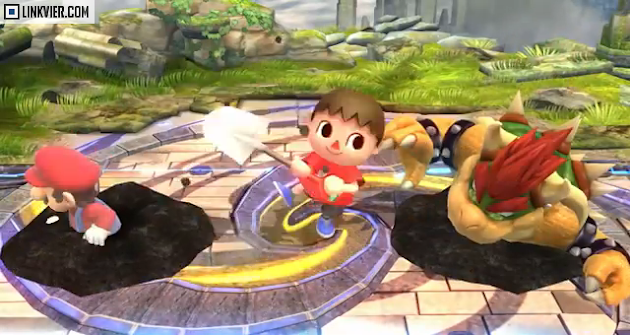 The first newcomer introduced was The Villager. Here are some screenshots and a GIF. 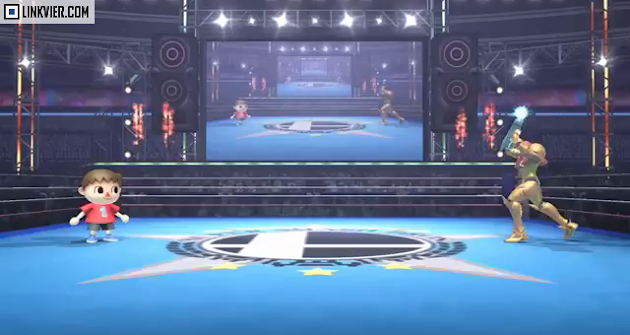 Judging from the gameplay footage shown, some of his moves look a lot like Nes' moves. Does this mean he's been replaced? Let's hope not. 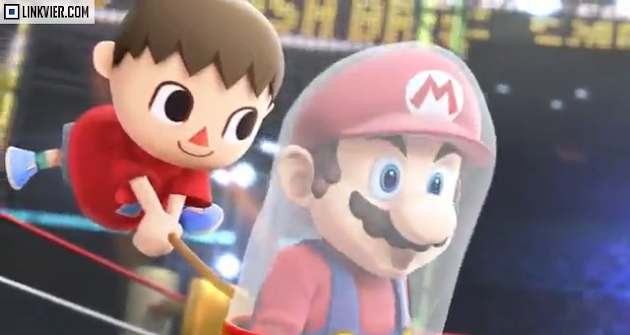 New characters also announced were Megaman and the trainer from Wii Fit.